People keep on joining my game when I have the who can join set to invite only and I don’t invite people, yet people are able to join my game. Is there something else that I need to do or is this a bug? 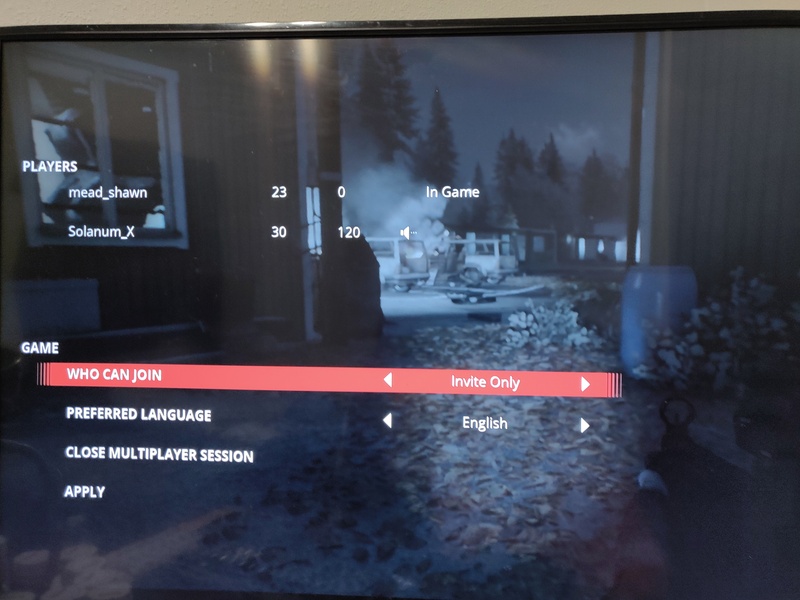 Below is a screen shot of someone who joined my game with it set to invite only. You have to click the apply button after changing to invite only. Unfortunately the apply button does not acknowledge when you click it. But it does work. Had the same problem. people kept joining after selecting invite only if i did not hit apply. Also, notice that it reverts back to anyone to join whenever you restart the game. At least for me it does. Yes unfortunately the default is set to anybody. You have to manually change it every time you play. There is something pretty wacky about the whole interface of this game. It seems unnecessarily clumsy and time consuming. Maybe it will improve.